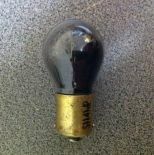 PL&T LED "HID" lamparcblue09/05/17 at 00:04arcblue: I don't know it's intended use...I think n... Lights of America 50w HPS "commercial" unitarcblue09/05/17 at 00:01arcblue: LOL albino version! Indeed the ballasts are a poor... Lights of America 50w HPS "commercial" unitarcblue09/04/17 at 22:13xelareverse: It's an albino wall pack S1141 blackoutarcblue09/04/17 at 21:15HomeBrewLamps: 1000w hps ballast better. ... I posted vids of tha... S1141 blackoutarcblue09/04/17 at 21:12ace100w120v: Throw it on a neon transformer.